Take a look at our interview with Royal Holloway University student and TLP Ambassador Ali, who tells us a little more about what law is like at this institution! Their ranking in the Complete University Guide! Why did you decide to study your LLB at Royal Holloway in particular? I always knew that I would study an academically rigorous subject such as law, but I never thought it would be at Royal Holloway. Due to extenuating circumstances during my A-levels, I had just missed my firm choice. Despite my best efforts to explain what had happened, I was told to reapply the following year and retake the exams I couldn’t sit. I decided to enter UCAS Clearing to apply for other courses at the same university in the hope that I could eventually transfer or do a Law Conversion Course afterwards. I received various offers for courses such as philosophy from both my firm choice and a few others, but I still didn’t feel satisfied; my real interest was in studying law. I then found Royal Holloway and noticed that they had a brand new LLB Law course. This was what first attracted me to studying at Royal Holloway. I attended a visit day soon after and was amazed. The campus had a real Oxbridge feel, whilst at the same time being modern. The atmosphere was peaceful and the community felt close-knit. After speaking to academics and staff in my department, I knew that this was the environment for me. In addition, the university guaranteed accommodation to those in Clearing – a major bonus. As a result, I decided to accept my Clearing offer and packed up ready to start a few weeks later. Applying was very simple. I simply spoke to the Clearing team and provided various details including my personal information, UCAS ID, grades achieved and course preference. They used my A-levels, teacher reference and personal statement to check my suitability for the course. Admissions tutors were incredibly impressed by my personal statement and the circumstances under which my results had been achieved, so I was made an offer. What is the best part about studying at Royal Holloway? The close-knit environment. As the campus is small in size and located in the quiet town of Egham, Royal Holloway has a real community feel. It is very easy to meet people with similar interests to you. Royal Holloway is also a prestigious institution with a rich history. The college can be traced as far back as 1848 where it was known as Bedford College. It is remembered for being the first college for the education of women. This history is still felt as you walk through the Grade 1 listed Founders building. To be attending an institution with the history it has is incredible. What is the worst part about studying at your university? The drawback for some students can be where Royal Holloway is located. Unlike other colleges that make up the University of London, Royal Holloway is a campus-based college located in Egham. Many often get confused, as it isn’t actually in London. This does mean that you have to catch a train to London, but that isn’t a bad thing as it takes less than 40 minutes. Egham is peaceful, but it does seem to lack some amenities, so it’s worth considering. Although it is highly regarded for its research, there is the usual response from people when you say you study at Royal Holloway – “Sorry, Royal what?” When you get this response, you typically counter by saying that its part of the University of London. Unfortunately, it’s not as well known as other places, so this can get annoying sometimes. As it adds new courses and adds to its already stunning campus, this should disappear. 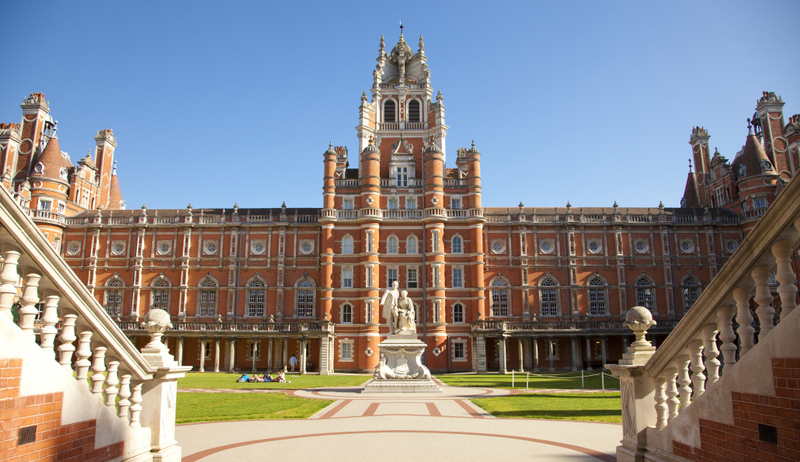 How can applicants make themselves stand out when applying to Royal Holloway? Applicants can make themselves stand out by explaining what specifically interests them within law. If you’ve studied law before, what particular area grabbed your attention and why? If not, what has made you want to study something new? As well as this, applicants need to tell Royal Holloway admissions tutors how they have developed skills and personal qualities that will make them successful when studying law. Tutors here are very keen to find applicants that can convince them that they are ready to take on the challenge of studying law and have the passion to sustain them throughout their degree. Reading around the subject is definitely a great idea, as is going to court and seeing a trial first-hand. However, a way to make yourself stand out to admissions tutors is to read what actually interests you, as opposed to simply generic texts. How do you manage your time during your degree? I split my time between studying, societies, composing music and my part-time job. As the term gets busier, I find myself not participating in societies as much because I try to prioritise my degree above all. I’m glad that I can get involved in university life as much as I do; it was always something I wanted to do. I enjoy acting as a course rep as it gives me the opportunity to represent my year at important meetings with staff. In terms of societies, like many, I signed up for tons during freshers week. I’ve now settled on a few that I can easily fit into my weekly schedule and that I enjoy going to. Part-time work may seem tough to have at the same time as a full-time law degree but I’m so thankful that I am able to do this. Working seems to help me improve soft-skills such as teamwork and communication. It also helps when it comes to time management. It can get hectic from time to time, but I am always mindful of when things are becoming too much to handle. And I’m fortunate to be working for a company that is very flexible. What’s good and bad about the course? One good thing about my course is that I get to spend a year working in industry after my second year. In a profession where work experience is everything, being able to have a whole year of legal work experience whilst at university is an awesome thing. Even though securing the placement is on you, the Careers and Employability Service are great at assisting you in any way they can. The not-so good thing about my course is that its not as flexible as I’d like it to be currently. As it’s a new course for the university, optional modules are not as plentiful and varied as at other institutions. In my time at Royal Holloway, I have relayed this to staff and we have managed to allow students to take criminology, sociology and soon politics modules. So things are looking promising for the future. 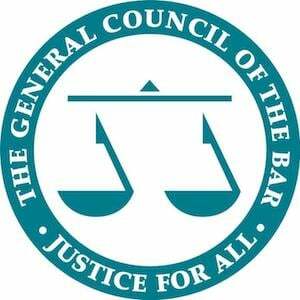 What extracurricular activities can you get involved in to start building up legal work experience? The first thing a law student should do when arriving at Royal Holloway is joining the law society. This is the best way to get involved with various opportunities and receive networking opportunities. The university offers mooting too. This is great for experiencing what it may be like as a barrister and developing advocacy. In addition to this, there is the chance to participate in client interviewing and negotiation competitions. The university is very keen on developing skills that are necessary for lawyers so they arrange for things like voice training to improve both advocacy and presentation skills. Some ‘less direct’ forms of building up legal work experience can be through volunteering. There are many volunteering projects to get involved with that can be exciting. Royal Holloway has a close relationship with the National Centre for Domestic Violence (NCDV) in Guildford, Surrey. As a result, they send over a member of their team to train students to become McKenzie Friends. These are volunteers that act as advisers to litigants who do not have legal representation in court. As someone that has done this training and regularly volunteers with the NCDV, I can attest to the huge benefit you can expect to receive through getting involved. Not only do you grow as a person, you are also getting useful experience that looks good on your CV. What are your top 3 tips for getting an offer for law from Royal Holloway? Read things that interest you, not necessarily what may interest an academic! There may be a tendency to do one of two things – name several books you’ve read because you’re told they are the best texts to read or name very highbrow books that you haven’t fully understood but think an academic would admire. This is the wrong approach. You will be looked at far more favourably if you can offer an interesting and personal outlook on a text rather than giving the same opinion thousands of other students have on what is thought of as an ‘essential read’. Now compare some of the country’s top universities with our Uni-by-Uni comparison table! If you’re thinking about studying an LLB university law degree, you may be wondering what to expect on the course and which universities to apply to. This page gives you all the information you need to make sure you make the degree decision that’s right for you.